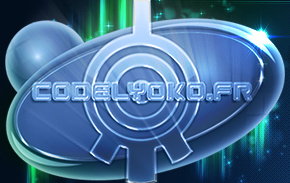 This first part summarizes the events that happened before Code Lyoko Evolution, as well as the concept of Code Lyoko (That is to say, the working of the virtual world). Reading this part is not necessary if you followed the entirety of the animated series Code Lyoko. It can also be substituted by reading the previous pages that tell the story of Code Lyoko season by season. 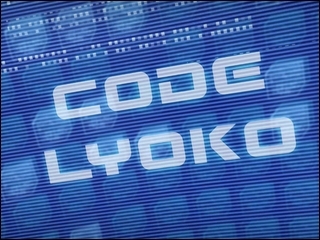 However, many elements of the concept of the Virtual World, as well as some elements of the story of Code Lyoko have been modified in Code Lyoko Evolution. Indeed, Code Lyoko Evolution happens to be an independent set of the original series, some phrases and some facts are inconsistent with the original series. For more information, see our file: To Code Lyoko from Code Lyoko Evolution: Between success, adaptation and inconsistency. As a result, if you have not seen the cartoon and do not want to see it, it is best to read this part before watching the hybrid series "Code Lyoko Evolution". The Kadic Academy seems to be a school like no other. Old buildings surrounded by a lovely park in which high school students lead their quiet life. Headed by the fantastic Mr. Delmas, the school's icon remains nonetheless Jim Morales, the exuberant and ubiquitous general supervisor who also fulfils the role of PE teacher and head of the dormitory. Aelita Stones, Jeremy Belpois, Odd Della Robbia & Ulrich Stern are in their 10th year at school. Jeremy is a little genius, promised a great future in the world of science. Four-eyed, sometimes clumsy, he is in love with Aelita but he finds it hard to express his feelings. Aelita Stones is also a genius. Smarter than her bashful lover but just as reserved as him about their feelings, she tries to live life to the fullest but she drags a heavy past behind her. Odd Della Robbia is a ball of energy who is not very tall but over-excitable. Mischievous, a joker and impulsive, he likes flirting with the forbidden...and many different girls since his great love, Samantha, left Kadic Academy. For Ulrich, things are much less easy. 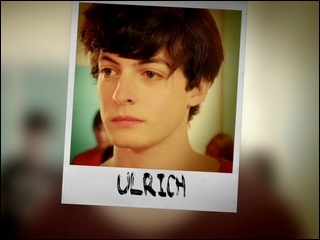 An attractive and quiet boy, Ulrich is kind of withdrawn, sometimes grumpy but very proud and susceptible. Fan of martial arts and karate, he is a lot less manly regarding his love life. 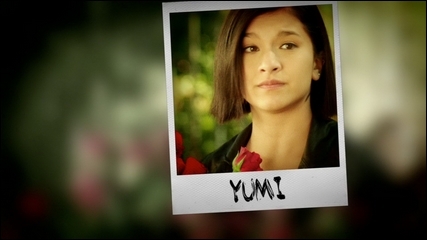 For about two years, he has been deeply in love with Yumi, but it is still secret to her. As for Yumi, she is in year 11th year at school. Older than the quartet, she is nonetheless a member of the group of friends in her own rights. She is also in love with Ulrich but refuses to admit it. Before the jealous behavior of his friend, she, in the past, ended their relationship which has since remained on standby. Indeed, this quintet of teenagers has a heavy secret. When they were in year 7 until the end of year 9, they lived a double life to save the Earth. They discovered an abandoned factory near the school. Accessible from Kadic through a secret passage in the park, the underground levels of this factory contain a complex with a supercomputer. 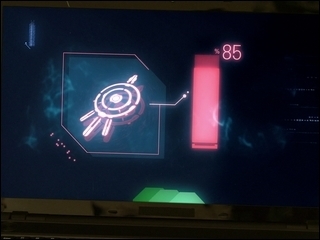 This futuristic and high-powered computer generates, on the global computer network, a virtual world named Lyoko. What's more, the complex also has scanners: ultra-powerful machines capable of disintegrating a body and a human mind to virtualize in the form of data in Lyoko... The avatar created is able to move in the Virtual World... Then, the scanner can bring them back and reconstruct the body. These processes are called virtualization and materialization. The Supercomputer is even able to go back in time! Unfortunately, this machine also housed a danger to humanity: XANA! XANA is an artificial intelligence...it became autonomous and sought to destroy humanity. 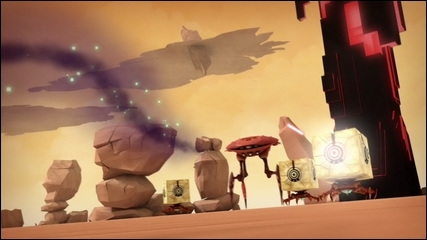 Using the power of the Supercomputer, XANA was formidable: the Virtual World of Lyoko has Towers. 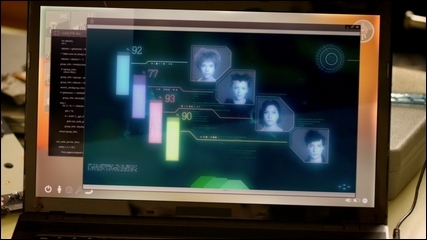 These are data banks that establish a link between Lyoko and the real world. They allowed XANA to control the energy of electricity networks to attack in the real world: creating electromagnetic phenomena, taking control of robots and even human beings... The evil program triggered all sorts of cataclysms! For months, the students fought this diabolical intelligence alone. Jeremy never went to Lyoko (except once). He is the operator: he sits down in front of the terminal and guides his friends on Lyoko by running programs and keeping a close eye on their progress. Odd, Ulrich, Yumi and Aelita however are virtualized many times. 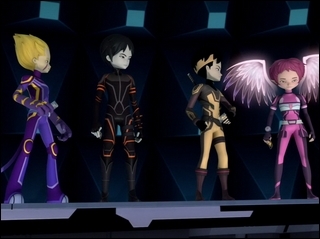 On Lyoko, they faced up to virtual monsters sent by XANA. Aelita has the power to enter Towers and deactivate them. 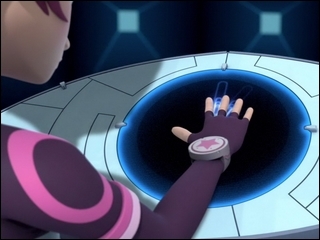 Going inside and entering the "Code Lyoko" on the interface, she blocks XANA's access to the Tower...which has the effect of dissipating the attacks the AI launches on Earth. 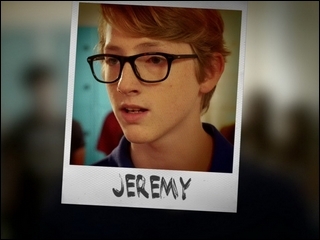 If the damages were too major, Jeremy launched the Return to the Past to erase damage and memories. This is this is the time of William's ousting. 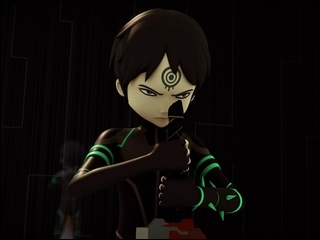 Indeed, arriving later in the adventure, the new Lyoko Warrior was captured by XANA, which placed him under its control. 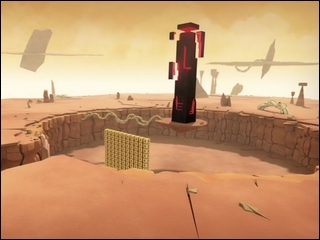 The virtual fighters therefore had to face their former ally in the Virtual World for weeks. They saved him from this influence but they kept him away of the group thereafter. The struggle against XANA led the heroes to traces of Aelita's past. 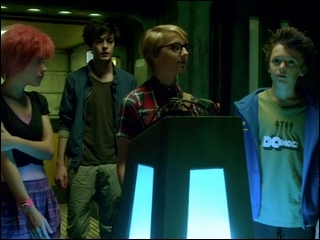 Jeremy and his friends discovered Aelita the day they turned the Supercomputer back on. Taking her for a virtual creature, they brought her back to Earth. However, as the conflict heightened, they made discoveries! Aelita was not a virtual creature but originally a human. She is the daughter of Waldo Schaeffer and Anthea Hopper. Waldo was a genius scientist involved in a state project named "Project Carthage". When he discovered that the project was not intended to save humanity but to be used during military conflicts, Waldo fled, after the year 2003. It was at this time that his wife, Anthea Hopper, mysteriously disappeared. The scholar hid under the identity of Franz Hopper, to all he was a science teacher at Kadic Academy... Yet he had a double life. 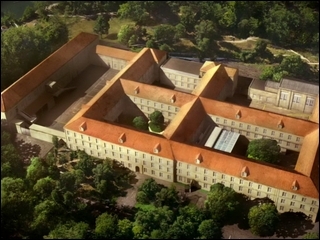 Franz Hopper was the one who built the complex in the factory. He then designed XANA to destroy Project Carthage. Things got out of hand however. Franz was found by his former superiors. He fled with his daughter Aelita and virtualized himself on Lyoko with her. XANA turned against him. Losing control, Franz Hopper turned off the Supercomputer from the inside ..until Jeremy turned it back on. School is in at Kadic Academy. 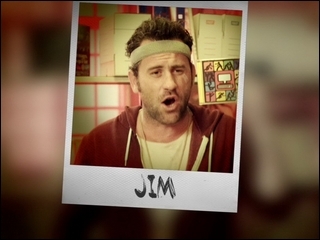 Odd, Ulrich, Jeremy and Aelita go to school and again find the eternal Jim as their sports teacher. In a somewhat particular cybersport lesson, an odd phenomenon happens and Jim receives an electric shock. The class cracks up but Aelita is troubled: she seems to have seen well-known lines of code on the school computers. Later, the electrical phenomena intensify and the school PA system goes haywire. The group holds a council of war. They are mostly sceptical. 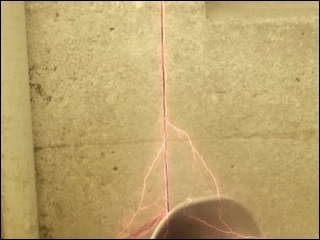 Aelita is curt: this looks like XANA's attacks. She wants be sure and takes Odd, Ulrich, Yumi and Jeremy to the factory, once again! Arriving in front of the Supercomputer, the heroes have a last hesitation...then restart the machine. In the vastness of the network, a set of data shines and is attracted by a centripetal force. 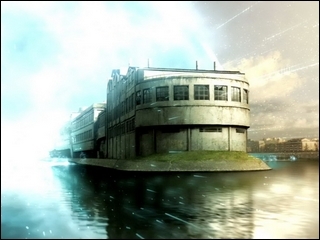 In a large flash, the Virtual World of Lyoko reappears. The Global Digital Network lights up in countless glowing symbols. The towers of Lyoko again begin to tirelessly probe the computer networks of the world. Jeremy places himself in front of the controls. He surveys the screens...but no Tower is active. Then, Aelita begs to go to Lyoko. Against the opinion of Ulrich and Yumi, Jeremy gives in. He virtualizes a pensive Aelita and a happy Odd. Yet the improbable occurs quickly. Some new Towers appear and one of them activates itself at the same time as XANA's monsters are attacking the heroes. We must face the facts: XANA wasn't dead! On Earth, one of XANA's spectres appears suddenly, taking the appearance of Jim. It lashes out at Ulrich and Odd who he grabs with a firm hand, putting them in poor condition. 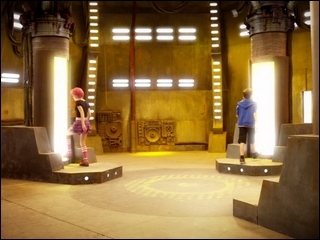 Aelita deactivates the Tower and Jeremy launches a Return to the Past. The war against the artificial intelligence begins again (episode 1 “XANA 2.0”). Jeremy begins to do research. 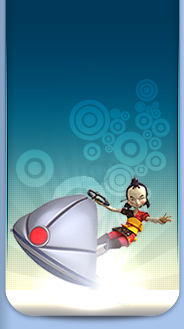 XANA is not on Lyoko, even though it can attack by activating Towers. It is hidden somewhere in the Network. The genius finally finds a signal. 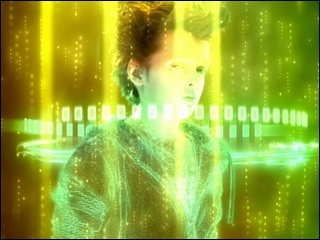 He reprograms the Skidbladnir, the virtual submarine which allows them to explore the Network. They discover a new Virtual World: the Cortex. There is therefore a second Supercomputer in which XANA sheltered before being destroyed. 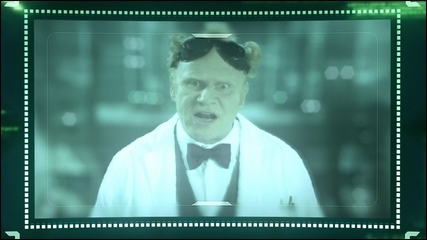 Aelita does a search on the interface of the Supercomputer...and discovers a photo of Franz Hopper (episode 2 “Cortex”)! The heroes make a new discovery during XANA's attacks. 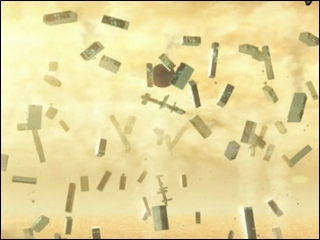 At the moment of its destruction, the program survived by implanting "source codes" in Ulrich, Aelita, Odd and Yumi. It sends its spectres which attack the heroes and seize them to "absorb" source codes. The more it recovers, more it regains power. If it recovers all its codes, it could again take over the Global Network just as he had done in the past. Positive point, nevertheless: with XANA's codes, the heroes, except William, can now enter Towers to deactivate them (episode 3 “Spectromania”). Firstly, XANA tries to recover codes by attacking the heroes. They must therefore prevent it: avoid the spectres. 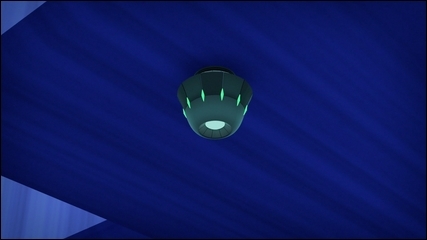 Protect themselves at Kadic and on Lyoko. Then the heroes feel the need to investigate. 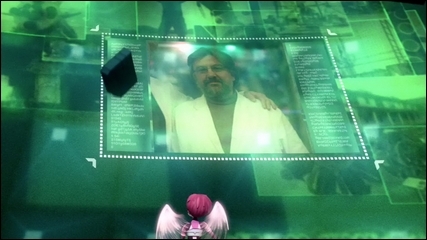 Aelita wants to know why a photo of her father was hosted on the new Supercomputer. To whom belongs the machine? What is its relationship with Franz Hopper and the return of XANA? More broadly, as long as it will not recover all its source codes, the heroes know they can kill XANA by destroying the Cortex's Supercomputer: investigate the creator of Cortex and destroy the Supercomputer to finish with XANA. The case of William arises rapidly. The dark teen hopes to return to the group of Lyoko Warriors. Jeremy and his friends are rather hesitant about this idea. However, William proves his helpfulness twice by saving the situation. 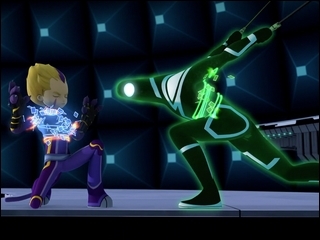 On Lyoko, he retained certain powers given by XANA at the time of his possession, including Supersmoke. Being the most powerful warrior of the team, he becomes an indispensable support and regains the group's trust (episode 2 “Cortex” & episode 5 “Rivalry”). The fight against XANA is hard. The multi-agent program sends spectre after spectre to recover the codes. 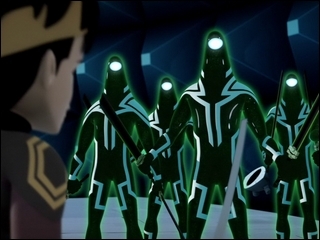 It sometimes dupes the heroes by giving the spectres the appearance of a simple school student or even members of the group (Ulrich, William, and even Aelita's mother in episode 11 “Rendezvous”). Other spectres have special powers such as hypnosis (episode 9 “How to Fool XANA”), the ability to multiply (episode 6 “Suspicions”), walk through walls (episode 15 “The Codeless”) or change appearance (episode 7 “Countdown”). So it aims to gather a lot of source codes and goes from 70 to 85% of its power. 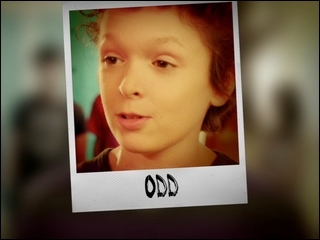 Odd is the first to go back to being "codeless" and is not able to deactivate Towers. However Jeremy develops some schemes to counter the program. He destroys a spectre by using false codes (episode 9 “How to Fool XANA”). In episode 19 “The Trap”, he even managed to catch a spectre in a scanner and take back some codes from it to give to Odd! 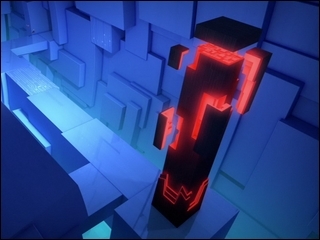 Most of the time, the heroes manage to deactivate the Towers despite different processes that XANA deploys to protect them: a clone of William (episode 15 “The Codeless”) and a formidable wall of Bloks (episode 7 “Countdown”). Jeremy realizes that the Cortex also shelters Towers that XANA can use (episode 12 “Chaos at Kadic”). The artificial intelligence sometimes looks for other ways to attack the heroes, like by infecting the Skidbladnir with a virus (episode 13 “Friday the 13th”). The heroes are not passive. They multiply their research on the Cortex. They unearth a new face behind XANA's return. In a stolen video, Jeremy and Aelita discover professor Tyron. This man is a former colleague of Franz Hopper. 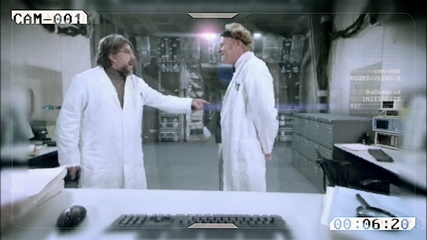 In the stolen video, Jeremy and Aelita witness a violent argument between him and Franz Hopper about plans that "should never have been revealed." It thus appears that it's clearly Tyron who built the Cortex Supercomputer. There is no longer just one enemy to face, but two (episode 7 “Countdown”). The missions on the Cortex are necessary but risky. The Cortex is unstable and undergoes continual seismic movements. Jeremy programs a new vehicle for them to cross it: the Megapod! Adapting to the movements of the plates, it allows the heroes to quickly reach the Core of the Cortex. Unfortunately, this it was not enough for simplify the lives of the virtual explorers. The room of the Core of the Cortex has a self-defence system. Even worse, Tyron detects the presence of the heroes. He then sends some virtual fighters to defend his world. By placing some humans in special suits, he creates virtual fighter avatars in the Cortex. They are the Ninjas! More talented that XANA's monsters, unpredictable, quick and with the power to melt into the walls to reappear suddenly, the Ninjas give the Lyoko Warriors a hard time (episode 8 “Virus”, episode 10 “The Warrior Awakens”). As if Tyron and XANA didn't pose enough problems for the heroes, a new protagonist makes her appearance...and she has the face of an angel. Her name is Laura Gauthier: gifted, computer and quantum physics genius, blonde and single. In short, everything to please Jeremy and displease Aelita. 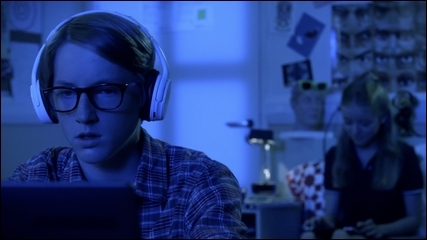 The gifted girl takes an interest in Jeremy's computer-oriented conversations. She discovers the factory a first time... She provides a helping hand to the heroes but Aelita shrugs her off with a Return to the Past (episode 4 “Miss Einstein”). The group plays, however, with fire. They decide to use Laura's skills: they ask her to help Jeremy, while envisaging to get rid of her with the return in time. However, Laura proves to be even more malicious than them. She outsmarts them and modifies the Return to the Past program in order to exclude herself from its effects and keep her memory after the engagement. The gifted girl being aware of everything, the heroes have no other choice but to put up with Laura (episode 8 “Virus”). The relationship between the heroes and Laura becomes ambivalent. Jeremy regularly needs the assistance of the little blonde to unblock situations...and at the same time, he takes care to keep her away from the Supercomputer. Aelita feels palpable and outspoken animosity towards Laura, who returns the sentiment. Laura's position is then tossed. In some cases, she saves the day for the group (episode 11 “Rendezvous”, episode 13 “Friday the 13th”) and was praised. However, she does not prove to be reliable at other times: she brings her father back to the factory, forcing the heroes to launch a Return to the Past (episode 12 “Chaos at Kadic”). Although, thanks to Laura, Jeremy has reliable help when he needs it. 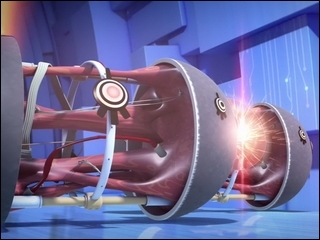 As a result, he tucks into a new project: a virus which, when launched in the Core's interface, will destroy the Supercomputer, taking the Cortex and XANA with it. This triple routine lasts a long time. The heroes alternate between their conflict against XANA and its spectres, their exploration and investigation on the Cortex, Tyron, Ninjas and finally the adventures with Miss Laura. But professor Tyron does not remain idle! After defending the machine with his Ninjas, he commits to discover where these painful virtual avatars that repeatedly seep into his machine come from. 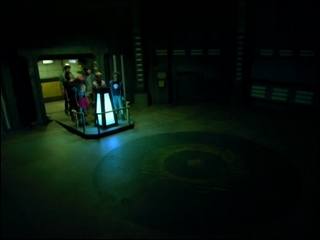 During one of the heroes' missions, they are trapped by Tyron. He allows them to steal fake data. 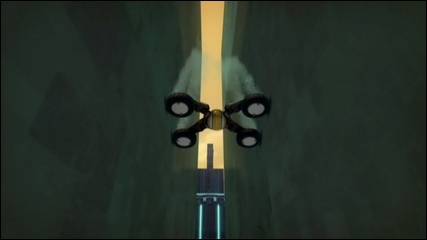 While the heroes return to Lyoko from the Cortex with the Skid, an invisible Ninja invites itself on their trip. 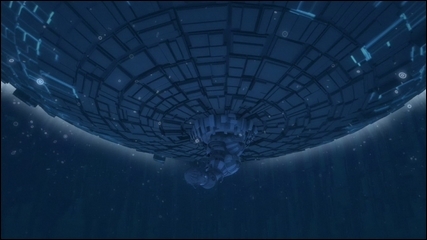 Arriving in Sector 5, it drops off a transmitter to allow Tyron to locate the Supercomputer (episode 14 “Intrusion”). Having a rough idea of where the heroes are located, Tyron sends one of his men, Graven, to explore the schools in the area. On the pretext of setting admission tests for a school for the gifted, Graven comes to Kadic Academy looking for a teenager who would master quantum physics. The heroes realize the threat. They find the transmitter, destroy it then shrug off of Graven with a Return to the Past... Graven had offered Laura a future alongside Tyron. Without the heroes' knowing, Laura keeps her contact card (episode 17 “A Professional Career Guaranteed”). However, two elements are to change the daily XANA-Tyron-Laura grind. One day, the heroes realize that XANA is not in a position to maintain the activation of its Towers. Investigating on the Cortex, they make an amazing discovery. Because of an update made to his machine, Tyron blocked XANA's ability to attack using the Towers. A virtual war then takes place in the Cortex as XANA lashes out at Tyron. Jeremy understands thus that the scientist might not even know that XANA is within his Supercomputer. He asks for a virtual meeting. Tyron accepts. He effectively says he knows nothing about XANA... Sadly, he does not take the warning that he receives from the heroes seriously, not realizing the threat that XANA poses (episode 16 “Confusion”). It's at that moment, while spying on Tyron by chance, that they discover that Aelita's mother, Anthea Hopper, who had disappeared for years, works with Tyron. 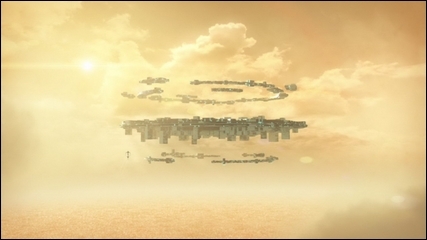 They cancel the mission... Tyron's Supercomputer is now the only remaining link between Aelita and her mother (episode 18 “Tenacity”). They promise themselves to solve this new mystery. Jeremy makes it his priority. He very quickly developed a system to hack into Tyron's surveillance cameras. After a difficult mission in the Cortex and some incidents, finally, Aelita gets in touch with her mother. The exchange is brief because Tyron finds them and cuts the conversation. The main thing is however done: Aelita has learned that her mother thought that she was dead...and she had time to tell her that this was not the case (episode 20 “Espionage”). While one might think that the struggle against Tyron would intensify, it's XANA that tries again more violently than ever, three times. It surpasses itself in craftiness to get the heroes' remaining codes. It begins with a double azimuth attack with a polymorphic clone which tracks the heroes at Kadic Academy, changing appearance continuously...whereas on Lyoko, it protects the Tower with help of copies of the heroes' avatars which sow doubt and discord. The heroes come out of this affair unscathed (episode 21 “False Pretences”). It follows with a sizeable trap. Attracting the heroes onto the Network thanks to a false digital signature of Franz Hopper, it destroys the Skidbladnir, and damages the Holomap and Superscan. The heroes find themselves blind and XANA sends a spectre to do its first raid of source codes (episode 23 “Jeremy's Blues”). The heroes will succeed in stopping the spectre and repair the most of the damages. XANA is at 92% of its power. Laura will pose a final problem. Disappointed to see how the heroes are timorous, she manipulates William and convinces him to go alone on a mission to the Cortex to launch the antivirus. The duo thus go to the factory alone. Things go very badly because William falls under the influence of the Scyphozoa, which xanafies him. The heroes save him just in time. They take then advantage of the pretext and get rid of Laura. 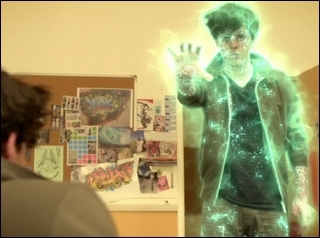 In fact, Jeremy was able to work on the Return to the Past and suppress Laura's immunity and its effects. A Return to the Past is started and the blonde forgets everything relating to the factory (episode 22 “Mutiny”). 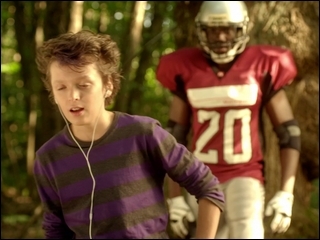 While the heroes are determined to end it, Tyron also becomes a lot more offensive. He tries to get rid of the heroes for good. He traps some of them in a space-time loop. Jeremy will manage to save the day...but professor Tyron showed that he was willing to kill them if necessary (episode 24 “Temporal Paradox”). Laura will be a problem for heroes for a final time. The girl had kept a calling card of Tyron's foundation, at the time of Graven's visit to Kadic Academy. Amnesic and finding the card, she dials the telephone number. Following an unsuccessful exchange with Tyron, he shows her a representation of heroes' avatars. Laura identifies them as caricatures "of Jeremy Belpois' group." Tyron hears enough and he heads towards Kadic. Tyron's arrival is concomitant with the heroes' mission to implant the virus in the Cortex. Unfortunately, a spectacular turn of events occurs: Tyron proves to be married to Anthea Hopper! He is Aelita's legal guardian. Summoned to Delmas' office, the girl discovers everything, stunned, including an ambiguous message from her mother, asking her to trust Tyron... At first conciliatory in front of Delmas, professor Tyron then appears very aggressive in private with Aelita. His conditions are clear: if Aelita and her group refuse to stop their mission in the Cortex, the girl will never see her mother again. Aelita decides to continue the mission, because that is what her mother would have wanted. Helped by Yumi, she escapes from Tyron. While the Japanese girl holds the professor and his henchman back at Kadic, Aelita rushes to Lyoko to join her friends and launch the virus. So, Tyron fears for his Supercomputer. He calls his team in Switzerland and orders them to turn off the machine. Yumi warns him that if her friends are virtualized in the Cortex at this moment, they will die. But Tyron doesn't give a hoot. Everything happens very quickly. Aelita plants the virus...but the Cortex begins to disintegrate. The heroes get to the Skidbladnir in time to be devirtualized. His machine turned off, Tyron returns to Switzerland. Everything then ends on this status quo. Yet all danger is not ruled out. 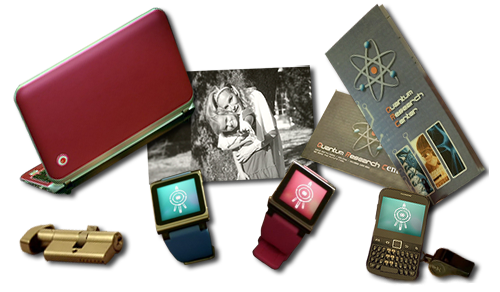 Tyron is able to develop an antivirus...and as Aelita's legal guardian, he could return to Kadic. Anthea's position regarding Tyron remains vague...but Aelita remains determined to find her. 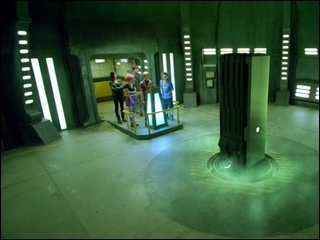 So, winners but still on their guard, the heroes once again disable their own Supercomputer (episode 26 “Ultimate Mission”).